This .40 S&W ammo from CCI's Blazer Brass series features, as the name suggests, reloadable brass casings. 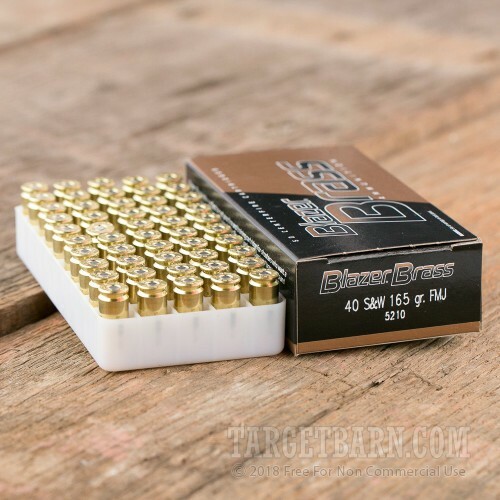 It is a highly cost-effective range load, especially in this bulk-priced 1,000 round case. 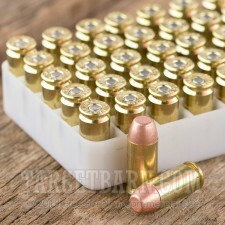 Each case contains 20 boxes of 50 rounds each. This ammunition fires a light 165 grain full metal jacket bullet at a muzzle velocity of 1,050 feet per second, about 5% faster than similar 180gr. loads. 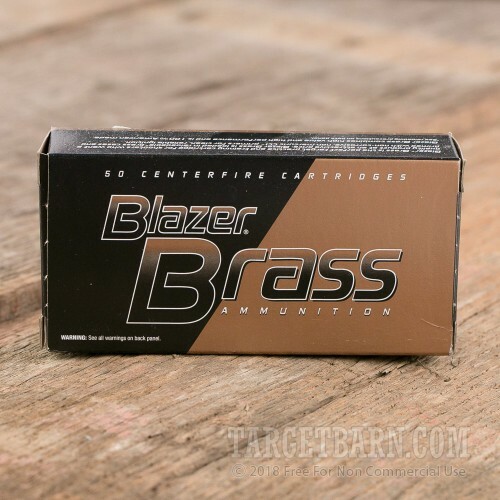 CCI Blazer and Blazer Brass ammo uses economical copper plated bullets that should not be used in firearms with ported barrels due to shearing issues. 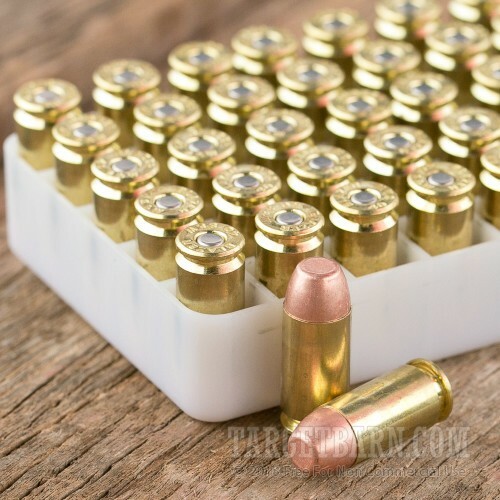 However, for the vast majority of shooters, they actually have an advantage over conventional FMJs: The plating process covers the lead core of the bullet completely, including the base. This reduces lead exposure hazards in poorly ventilated environments such as indoor ranges. 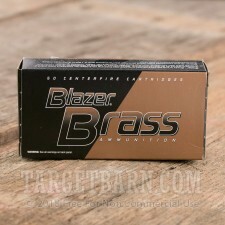 Blazer Brass ammo uses CCI's own non-corrosive Boxer primers, which are known for their reliable ignition.